My son and I devoured the Hunger Games series but then tried others of similar genre but they failed mostly to come up to scratch so we stopped reading these types of books for a while. We might well give this one a go following your review. I’ve been mostly disappointed in the dystopian follow ups too. Glow skews a little older, given the topics explored. I enjoyed it, but much depends on your son’s age. I did enjoy Divergent and Legend, probably the best of the genre. He’s nearly fifteen. He says his at time favourite series is ‘Gone’ series of books. Unfortunately they are all in his kindle account so I haven’t read any. I’m not familiar with them either but good on you for trying to raise a reader. It is typical that, following a blockbuster series, a ton of sister books gets pushed out, none of which really measure up. It’s all about making money (publishing is a business too), but it’s also a good thing in a way, because it gives those new authors face-time. They can then write better second books, and from there they will either already have agents, or at least be able to say they were already published. I’ll look into Glow for my little sisters! I like the sound of it! My WIP has a Kieran in it too 🙂 I just always loved that name. I understand where you’re coming from, but as a reader, it’s very disappointing when you grab a book and it doesn’t live up to expectations. Hopefully, you’re right, and some of the follow up dystopian writers will come up with better books in the future. 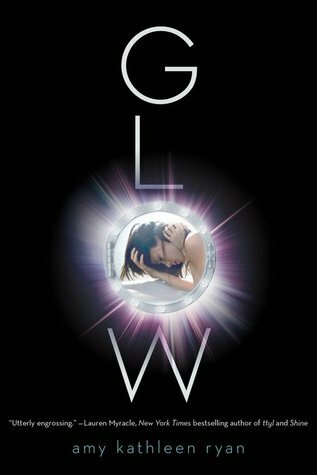 In any case, Glow is a fairly intelligent read after some pretty derivative dreck.